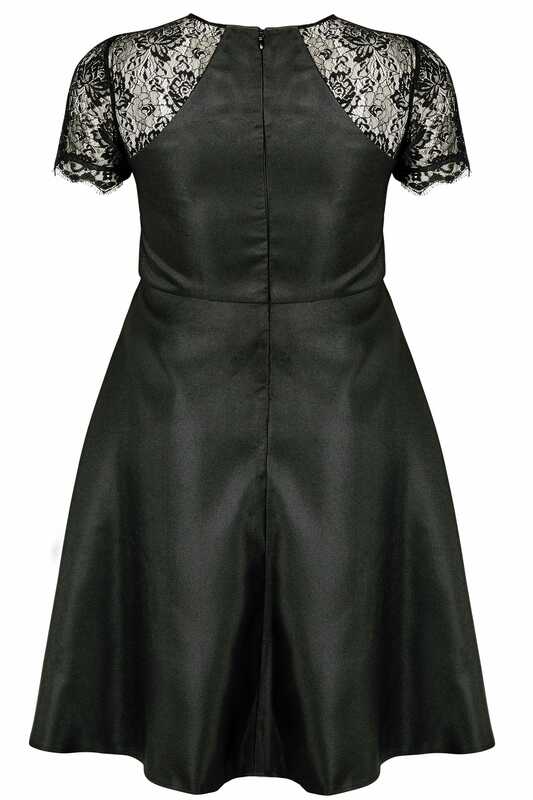 This elegant black dress will serve as the ultimate evening option. 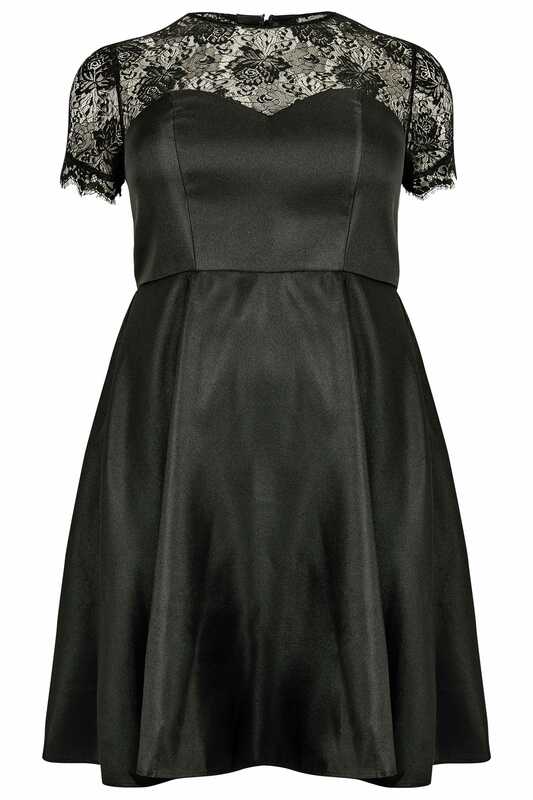 Cut to a midi length, it features lace shoulders and a sweetheart style neckline. Team with high sandals and a box clutch bag for an effortless profile. We love its timeless and classic design.